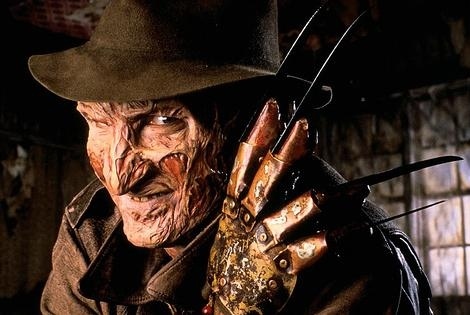 Platinum Dunes is targeting an April 27th, 2009 start for principal photography for their reboot of A Nightmare on Elm Street, and Warner Bros has set April 16th, 2010 for the film’s theatrical release. As we’ve previously reported, the film will be directed by muc video turned film director Samuel Bayer and scripted by Arachnophobia screenwriter Wesley Strick. So who's officially playing Freddy? No one has been confirmed for the part yet. But I heard rumors, Jackie Earle Haley is being conderd. I think he can pull it off, he has a very unique look, and good acting chops to boot. If Watchmen is the success everyone believes it will be. He may just land the part. He's the best rumor I've heard so far. Better than the Billy Bob Thorton rumor. He would be terrible in my opinion. But I'm all for Jackie Earle Haley. Bisco, you're looking like my grandpa! Did you remember this guy?